Currently I am running only Ubuntu on my MacBook Air. Many have suggested I reinstall or install macOS on an external drive in case I ever need to troubleshoot, or in case something goes wrong. How can I install macOS on an external SSD from Ubuntu itself? Is this possible or do I need to use a friend's Mac? In case Ubuntu didn't start up or break for whatever reason, would it be as simple as plugging in the SSD with the macOS and then pressing Option (Or optionally Alt) to boot from the SSD? It is quite simple to install macOS on an external drive using macOS Internet Recovery. Plug in the external drive. Turn on or restart your Mac, then immediately hold down ⌘ + R keys. macOS Utilities window similar to the one below will be displayed. 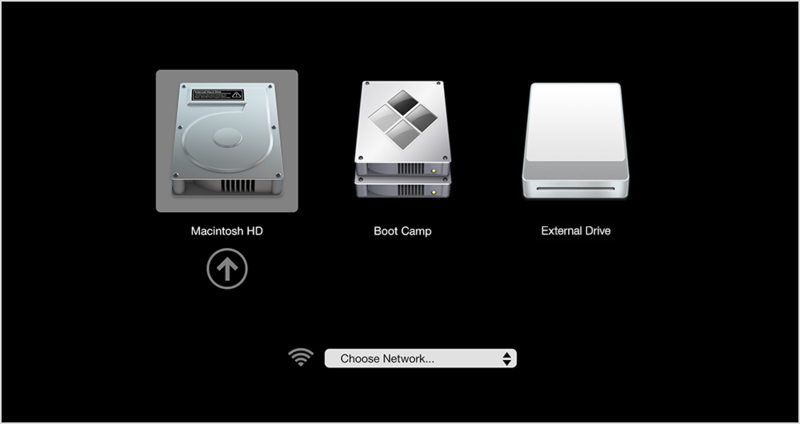 Proceed to erasing the external disk by selecting Disk Utility and clicking continue. Name: Enter a name for your disk, such as "Macintosh HD". 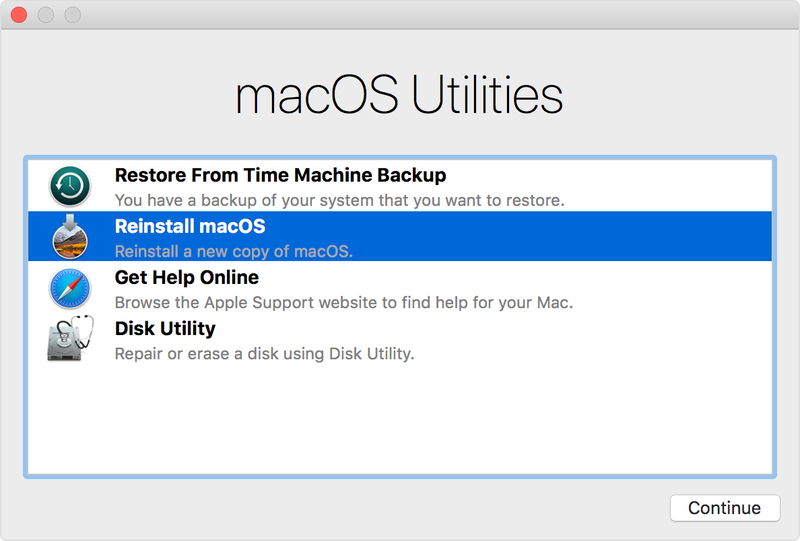 When done, quit Disk Utility to return to the utilities window. You're now ready to install macOS. Click Continue, then follow the onscreen instructions. You'll be asked to select your disk. Select the external disk (identify it with the value supplied for Name in step # 8). Click Install. Your MacBook Air will restart after the installation is complete. Voila! Your bootable external disk is now ready. Yes, if you are unable to boot into Ubuntu for whatever reason, you can simply plug in the external SSD with the macOS installed and then press and hold Option (Alt) to boot from the external SSD? Turn on or restart your MacBook Air with the external disk connected. Press and hold the Option key immediately. Sure you can, but explaining how depends on the model/year of your Mac. You never need a bootable macOS on the internal drive to install to an external drive from Lion on. So that removes Linux totally from the equation. Assuming you have a fairly new model, here are the basic instructions. Boot to internet recovery mode. Choose to boot to an internet recovery that allows the latest version of macOS, which would be High Sierra. This means hold down the Option-Command-R keys at startup. 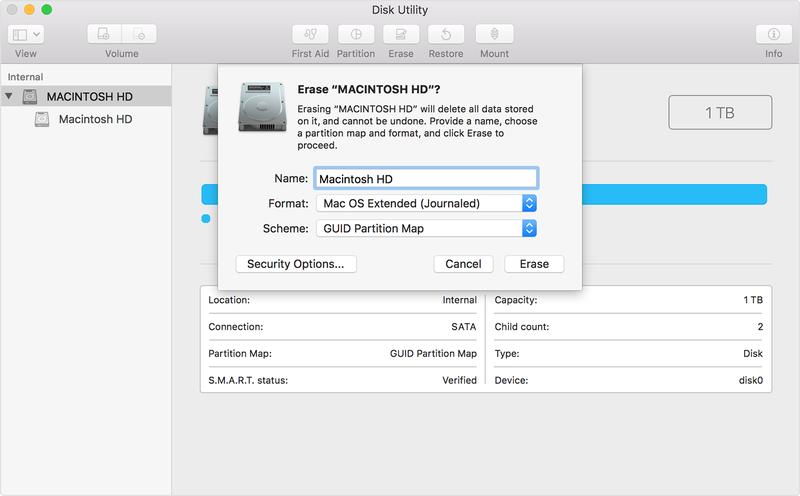 Use Disk Utility application to initialize the external drive. Choose the APFS format. Install High Sierra to the external drive. Not the answer you're looking for? Browse other questions tagged partition ssd unix dual-boot .